One of our most popular blogs was a recipe for White Chocolate Cheesecake Popcorn. Katie created the last one, so I decided to come up with my own. I have made apple pies before, and since Katie can’t have lactose or chocolate spices like cinnamon become a lot more useful. 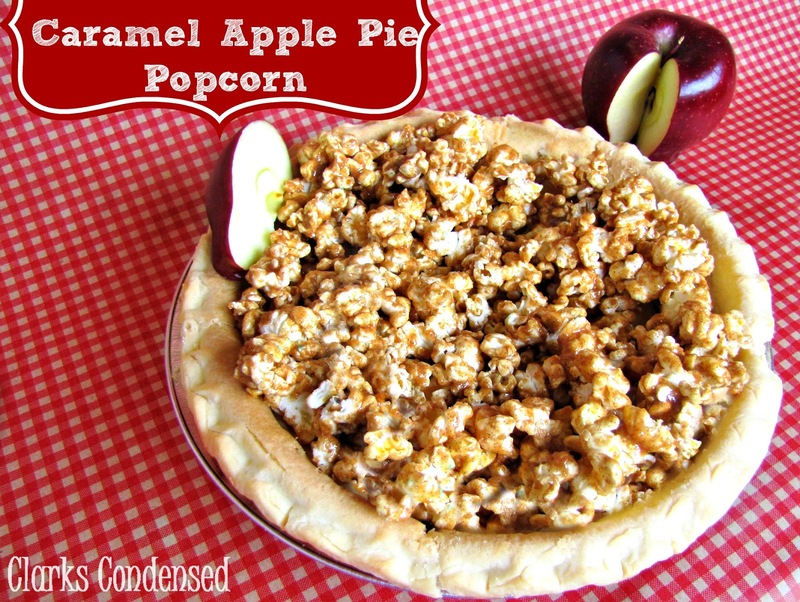 I like the idea of using freeze dried apples to add real apple flavoring to the caramel. Katie loved it, and she said it was the best popcorn she has ever had. She couldn’t stop eating it. I have never made gourmet-like popcorn before, so Katie gave me a few tips. She told me to use marshmallows. This made it so I didn’t have to boil molten hot liquid sugar on the stove. We used the liquid caramel to eliminate the step of melting caramel cubes. In the end this is a simple, easy recipe that shouldn’t take too long to make. Pop popcorn and place in a big bowl. Mix all the ingredients, minus the marshmallows and caramel, in a blender or food processor until they are a fine powder. Mix mini-marshmallows and caramel in a bowl and put it in the microwave until the marshmallows expand. Stir the marshmallows into the caramel. They should dissolve. Pour in the dry ingredients and mix. Pour over the popcorn. Place in the oven at 250 degrees for 3-5 minutes. No I appreciate it (sorry if my comment didn’t convey that!) It was horribly written! I just don’t think about my first recipes enough haha. While the recipe sounds delicious this is a poorly written recipe instead of after the instructions to pop the popcorn there’s no other mention of the popcorn and do you add the dry ingredients after you add the caramel to the popcorn? And what do you consider dry ingredients? Wow, that is so creative! Thanks for linking up to Sweet & Savory Saturdays #6! Thanks so much for sharing at Wicked Good Wednesdays! This looks awesome! Yum, Yum, Yum! This looks so good! !